Rogers Park is one of Chicago’s most diverse neighborhoods, with residents speaking 38 different languages and hailing from 82 different countries. The Mile of Murals project is a community-based public art initiative representing the diversity of the neighborhood through art. 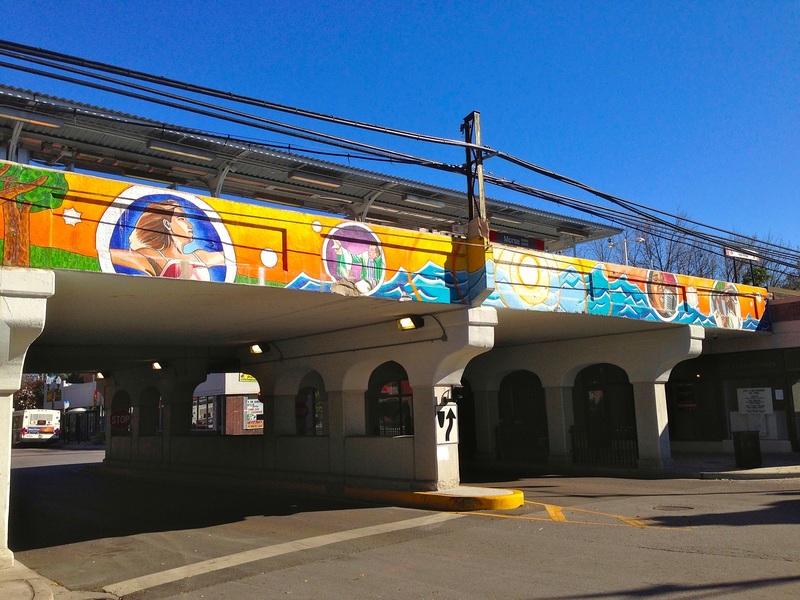 Chicago has 145 train stops across the city and the Mile of Murals project aims to showcase public art in a public domain, the Morse CTA Red Line train stop. Morse is an El station on the CTA's Red Line. It is located at 1358 West Morse Ave. The station was built in 1908 but was renovated in 1921 as the train system became elevated. This mural was one of the first completed, in 2008, and the theme is “Artistic Movement."